We offer complimentary valet and self-parking. 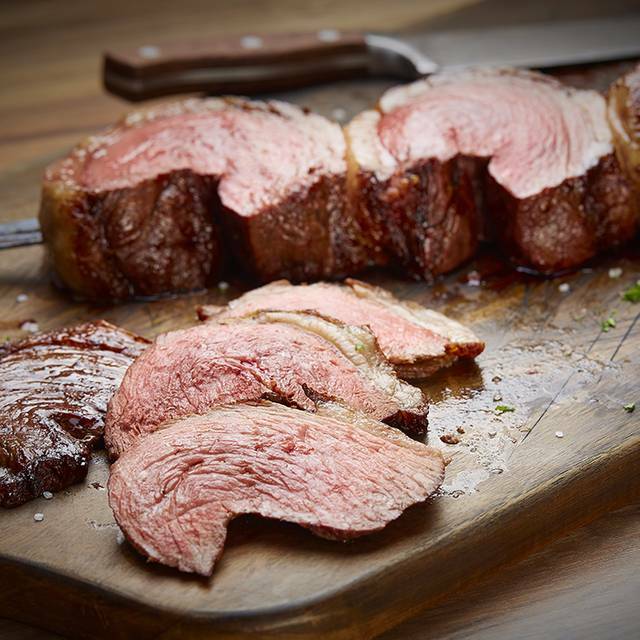 Join us at Fogo de Chão® Houston on Westheimer near the Galleria. Guests are welcomed by our signature blue tower featuring an authentic fogo de chão – the type of ground fire originally used in the process of cooking Brazilian meat. Fogo de Chão is an authentic Brazilian Steakhouse (Churrascaria) that has been setting the standard in Brazil for the past 36 years. 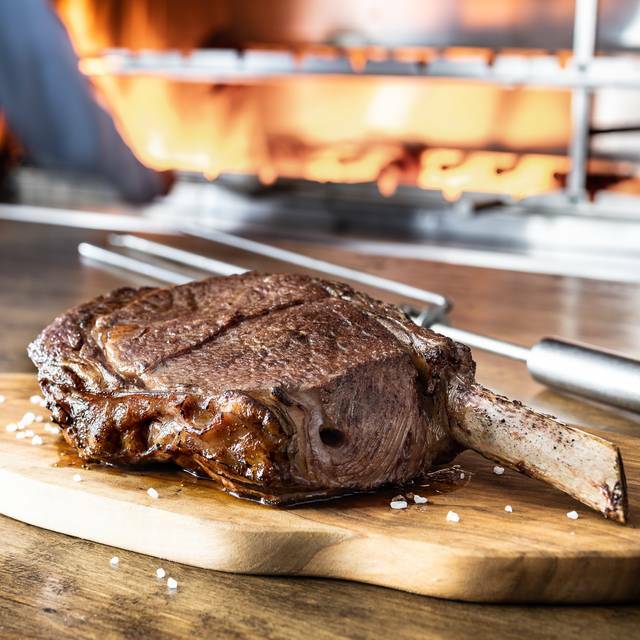 Today, our gaucho chefs expertly grill and carve tableside each of our cuts of meat like Picanha (signature sirloin), Filet Mignon, Ribeye, Fraldinha (Brazilian sirloin), Cordeiro (lamb) and more. In addition to the main dishes, enjoy our gourmet Market Table, authentic Brazilian side dishes, and award-winning wine list. Guests can also choose to enjoy lighter seafood selections or enjoy the gourmet Market Table only option. We also offer semiprivate and private areas that can accommodate parties up to 100. Truly an excellent establishment to enjoy with friends and family. 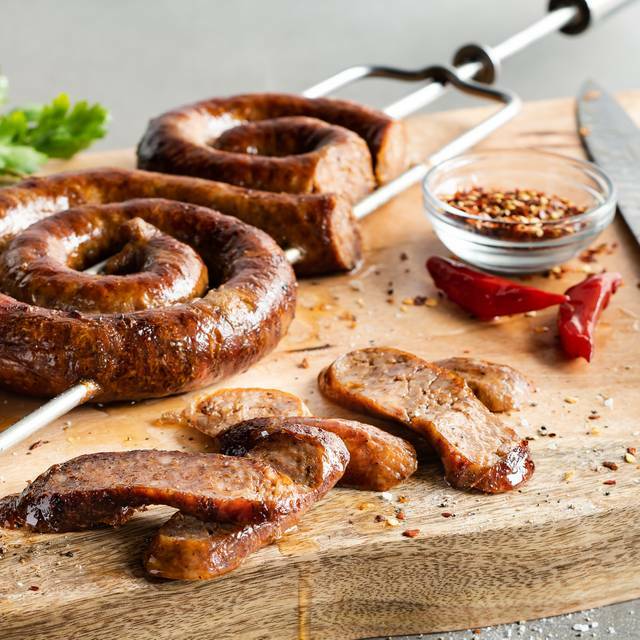 The selection of meats is exquisite as well as their dessert menu. The only thing I would say has come up short in variety, is the salad bar. Overall, a beautiful way to have dinner. Food was good. I've been to other Brazilian steakhouses that offered more sides/options and had seafood. The food and service was impeccable. Our family enjoyed our Easter brunch at Fogo de Chao. We have a variety of tastes in our family - steak lovers, meat lovers, a vegan, and a pescatarian (eats only fish). Surprisingly, Fogo de Chao earned everyone’s high praise. It’s usually hard to please such a wide variety of tastes, but Fogo de Chao had something for everyone. The market table has a wide variety of salads, fruits, and cheeses. The servers bring a variety of meats to the table, including beef, chicken, pork, and lamb. All yummy! I loved it and I will be back. It’s not what it use to be. Pure sirloin steak was offered all night! Food was good, service great. Just can not eat the portions to fit the cost. Everything was GREAT from the service to the food. Our waitress was great and funny. And the food was full of flavor. The meats were so well cooked and the servers were very quick to come to the table when the little card was green. I enjoyed the entire time I was their. I will definitely be going again. My new bride and I chose Fogo De Chao is a dinner option after we tied the knot, we were able to get a table for two reservations less than 24 hours before the event. Unfortunately, Houston traffic did not allow us to change after the wedding event, so we arrived in our wedding attire, the staff was more than accommodating, and the other patrons made us feel as if they were members of the wedding party! We had a ball. The food was outstanding and the service was stellar. My wife order dessert and the staff went above and beyond to make our dinner date memorable and special. We love this place and will recommend it to anyone who listens. The service is outstanding. You are never left waiting for anything. All servers take care of all tables. The Gauchos are right there with all the meats every time you turn the card over. I wasn’t that impressed with the salad bar. I think Texas De Brazil’s was better but the meat selection was much better at Fogo which is really why you are going. We went during a massive down pour and the Valet was running around like crazy in it. Just an excellent experience and will be back! Wish I would have noticed the name of our server. She was awesome. Great attitude friendly personality and quite attentive. All employees did an awesome job but our server was outstanding. The food was of course great too!! Sadly, I do not remember the name of our server, but he definitely made the experience top notch! Meat was dry, waited for food on a Friday dinner at 7pm? Absolutely loved the whole experience. The service was exceptional and the valet was very gentlemanly. The food was outstanding and delicious. Food is not what it used to be. Pretty disappointed. Seems being the younger table means poorer service. Great food and excellent service as always. One very minor ding would be the meat selection seemed smaller than normal, no pork or beef ribs were offered, and the lamb - which you could kill someone for - was only offered once. Great staff and service given. Food was amazing. Will definitly come back again. The restaurant looked nice upon entrance, but the dining room looked old and antiquated. None of the servers smiled and many zoomed past me. While I was eating my meal, I looked up and noticed a swarm of three to four gnats hovering and flying around my food and drink. When I mentioned the gnats to a waiter, he fanned his hand and said they were there because of the close proximity to the bar. Unacceptable, so I asked for a manager. She repeated the same information while fanning at the gnats also. The sides were okay, but all of the meats dry, over-cooked and not seasoned well. My first experience with Fogo de Chao in New Orleans and the food was delicious. Everything looked fresh. The meat was perfectly seasoned and tender. The staff all were smiling and pleasant. I discovered that there was a Fogo de Chao in Houston after Hurricane Harvey. As a first responder who spent four days stranded at work during the hurricane, I was overjoyed to learn of the free meal being offered to first responders. Unfortunately, I was unable to secure reservations, much like the majority of my co-workers who worked and cared for patients while away from their families for several days. So Fogo de Chao in Houston will receive a thumbs down from me. Just lunch alone. So I wat he’d people and waiters. Meat was slow to get out but the bread just flew out. Our server was awesome he prepyour bday cake and touched up the cake ..
Best customer service we have ever had, by far! Everybody was so considerate, kind and helpful. Was good. The meat was not a flavorful as it used to be. It was good and we liked it but not a 5 star this time. Made our birthday extremely special, catered to our every need and expectations were over met. Bravo. The manager and the waiter were excellent. They were very attentive and helped out with any questions that we had. The food was great, the drinks were very well-made and the endless meat servers were awesome. We also went on Valentine’s Day where it was pretty packed but having a reserved seat, we got seated fairly quickly. Everyone there is very generous . I don’t feel like the hostess was 100% . Other than that Joel and Josue were awesome ! Awesome experience! Wait staff was excellent, valet was courteous! As always the service and food were outstanding. We’ve patronized this restaurant on occasion for maybe 15 years and the food and drink have, if anything, gotten better. Everything was terrific. The bacon at the salad bar was superb. Overall it feels like a diner. I have been to much better Brazilian steakhouses, but came here as it was recommended by a friend. My wife ordered the salmon and specifically asked to ensure it was not dry. Sadly the salmon was dry. The salad bar is much weaker than other Brazilian steak houses with cheap ingredients. No shrimp or avocado for example. So far I would rank this as #4 in Houston. Will never be back.